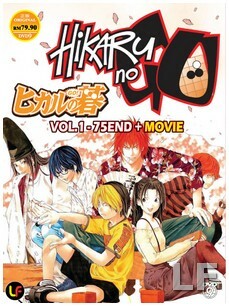 I've finished watching all of Hikaru no Go. I can see why people would enjoy it, though not being Japanese myself, it's hard to actually get myself involved in something so foreign to American life. If I change the premise to being Chess though, I can understand it clearly enough. I'm going to see if I can find the manga that handles a part of the story that the anime doesn't cover. All in all, this is certainly a quality anime, but it lacks any explicit action. To fully appreciate it, you need to be a Go player yourself. I'm not really that, but as someone who appreciates gaming in general, I can certainly appreciate the spirit even if I don't see exactly what's going on in their minds. Anything less than that, you'll probably find it uninteresting. Yes, this actually is an anime about Go. No, they do not artificially inflate the action similar to Yu-Gi-Oh.